MOHS Surgery, also called MOHS Micrographic Surgery, is a precise treatment for skin cancer where layers of affected skin are progressively cut away and examined until all the cancer cells have been removed. The goal of this procedure is to remove as much skin cancer as possible while preserving healthy tissue nearby. Compared to standard surgery, this method is significantly more accurate. This increases the chance of a cure and reduces the need for additional surgery or treatments. This highly effective technique is often used to treat the most common types of skin cancer: basal cell carcinoma, squamous cell carcinoma and some melanomas. MOHS Surgery is also favored when treating cancers that are large, aggressive, in a highly visible or sensitive location, have a high risk of recurrence, or have ill-defined borders. 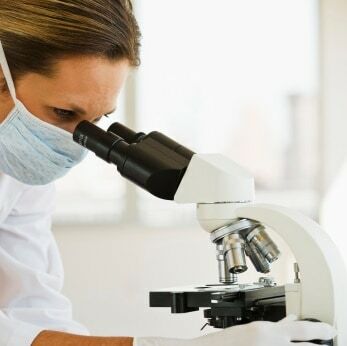 Since this approach involves examining the removed tissue during the procedure, rather than afterwards, MOHS Surgery offers a very high cure rate for squamous cell carcinoma. Recurrence is less likely than with standard surgery, and more healthy tissue is preserved for a less altered appearance. This procedure is performed on an outpatient basis in an operating room with a laboratory nearby so the removed tissue can be examined immediately. After you’re injected with a local anesthetic, the visible portion of the cancer will be cut out, or excised. A temporary bandage covers the incision while the removed tissue is analyzed in the lab. If cancer remains in your skin, then the surgery will continue. Another layer of tissue will be removed and examined in the lab. This process is repeated until the last tissue sample is free of cancer. Once all the skin cancer has been excised, Dr. Brian Maloney will close your incision using the best method for the type and location of your wound. Afterwards, the recovery may vary from several days to several weeks, depending on the extent and location of the affected area.